It's modular and can be used in satellites ranging between 2 to 200 kg. It's flexible since thruster chips can be placed anywhere on a satellite, in any number. It's more efficient since it has higher thrust-to-mass and higher thrust-to-volume. It's much less costly since low-cost automated batch manufacturing is used. In one run, they can make 44 thruster chips. Accion's major competitor in the realm of small satellite propulsion systems is Busek which has a lead of nearly 30 years more experience. However, Accion has said its design ensures a longer operational lifetime than Busek's equivalent. What company is there that prints 3D objects in outer space? The company is Made in Space. Formed by entrepreneurs Aaron Kemmer (CEO), Jason Dunn (CTO) and Mike Chen (CSO) in 2010 to tackle Singularity University's challenge of creating a project that would affect 1 billion people, Made in Space has grown to be an innovative new space company focused on additive manufacturing -- more commonly known as 3D printing -- in space attracting quite a following (and funding). 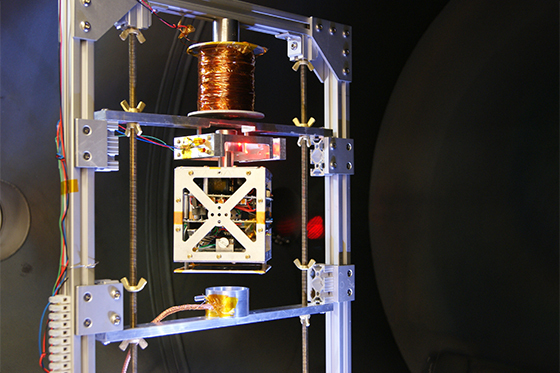 In the last quarter of 2014, the world's first zero-gravity 3D printer built by Made in Space was launched to, installed on, and operated with no hitch on the International Space Station. 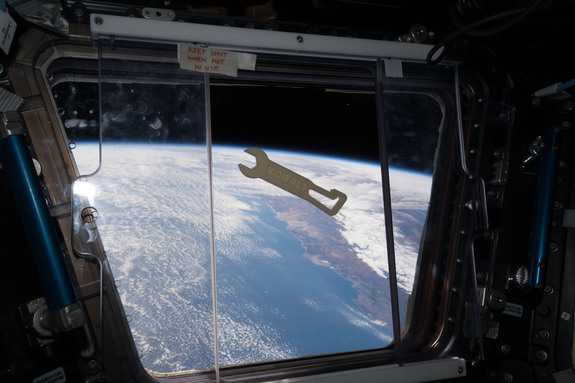 In June this year , the first tool ever manufactured in space, a wrench branded with toolmaker name Kobalt, was 3D printed on the ISS at its Additive Manufacturing Facility (AMF) thanks to Made in Space, which built the AMF, and home improvement giant Lowe's. The entrepreneurs, innovators, and researchers at MIS have developed several devices including tactical 3D printing (TAC3D), extended structure additive manufacturing machine (ESAMM), and vacuum additive manufacturing (VAM). The full extent of what each piece of tech entails is interesting but delves deep into the technicalities so let's take a look instead at the exciting space projects on the horizon for them. Firefly Space Systems will generate ~$70 million by 2020 assuming 8 launches for $8 million each after the initial ~$5 million NASA contract. The impact on the number of people is hard to estimate given the diverse range of services small satellites can provide. Firefly Space Systems is a new space company based north of Austin, Texas. At least 25 companies have announced plans to build rockets to meet the growing demand for small-satellite launches since 2014, but Firefly Space Systems does not plan to blend into that pack. Thomas Markusic, Firefly Space Systems chief executive, said, "Think of this as the Model T of rockets, a simple widely used vehicle for getting from point to point, or in this case getting to space." “When you are riding as a secondary payload on a large launch vehicle, you sometimes have to wait a couple of years and you are subject to the technical specifications of that launch,” said Amir Blachman, Space Angels Network managing director in Los Angeles. “Whereas if you can pay to get a custom launch for a smaller payload, you can tailor the timing and all the other elements of the mission to your specific needs.” Markusic, a propulsion engineer who worked at NASA, the U.S. Air Force, SpaceX, Virgin Galactic and Blue Origin before founding Firefly, plans to build a family of simple expendable rockets offering dedicated rides for small satellites (under 1000 kilograms) to low earth orbit (LEO). Markusic left his job as Virgin Galactic’s vice president for propulsion in December 2013 to found Firefly because he saw a dearth of launch options for the burgeoning small-satellite market. Firefly’s initial launch vehicle, Firefly Alpha, is designed to send 400 kilogram payloads into low Earth orbit or 200 kilograms into sun-synchronous orbit. The cost of a full vehicle to LEO is currently set at $8 million, and includes features that typically cost extra, such as the separation system and a full re-ride guarantee. Customers will not have to insure the launch, because if the first fails the second ride is on Firefly. Satellites will still need insurance for their own performance. Other launch options include delivering a 120-kilogram payload to a 500-kilometer sun-synchronous orbit for $4.95 million, and orbiting 3U CubeSats for about $240,000. In October , NASA announced the award of fixed-price contracts to Firefly, Los Angeles-based Rocket Lab and Virgin Galactic of Long Beach, California, to provide dedicated rides into orbit for the CubeSats NASA transports under its Cubesat Launch Initiative. CubeSats are small cube-shaped satellites typically sized 10 by 10 by 11.35 centimeters and has a mass of no more than 1.33 kilograms. NASA plans to pay Firefly $5.5 million, Virgin Galactic $4.7 million and Rocket Lab $6.95 million for launches scheduled to occur by April 2018. PJ King, cofounder and COO of Firefly, said the initial target is to field about four vehicles in the first year. If business goes well, King said the number of launches the first year could be up to seven. Assuming continued success, the goal for year two is to produce about 12 vehicles. Copyright 2015 - 2016 by Shen Ge. All Rights Reserved.